2003 NEPTUNUS 56 Hardtop Express. $30,000 Price Reduction. Now Priced at $339,000. Seller says bring offers!!! Only 692 hours on CAT 700 HP with Annual CAT service completed in Jan 2018 along with a fresh bottom paint. She has all the right equipment from an updated 15" Garmin, DSS Sat TV, Hydraulic lift platform, teak package and a beautiful light cherry wood finish throughout. Her layout includes a upper salon lounge and helm area with sliding glass doors for comfortable cruising. Below you will find a large salon with proper galley and 2 staterooms with 2 full head/showers. Very spacious and plenty of closet/storage space throughout. Owner has priced aggressively to sell. Call listing broker today for a showing.Located at MarineMax of Stuart and ready for showings. CAT 700hp with only 692 hours - Annual service completed in Jan 2018 CAT digital displays and electronic controls Onan Generator - Annual Service completed in 2018 New Bottom paint done in Jan 2018 DSS SAT TV Hydraulic Lift Bow Thruster Newer Garmin 5215 Raymarine Chartplotter and Open Array Radar Simrad Autopilot Icom VHF Spotlight with remote Washer and Dryer (separate units) Hardtop with sliding glass doors New Exterior Teak New Cherry wood floor in upper salon Upper salon TV and stereo system Outdoor built in Grill and wet bar Opening sliding moon roof 4 TV's (upper salon, lower salon, master and VIP) MarineAir Air conditioning system - Updated / Serviced in 2018 All Chain windlass 2 full stateroom with 2 full head layout. Call Listing broker today to schedule a showing. Note: Some exterior cosmetics need painted. 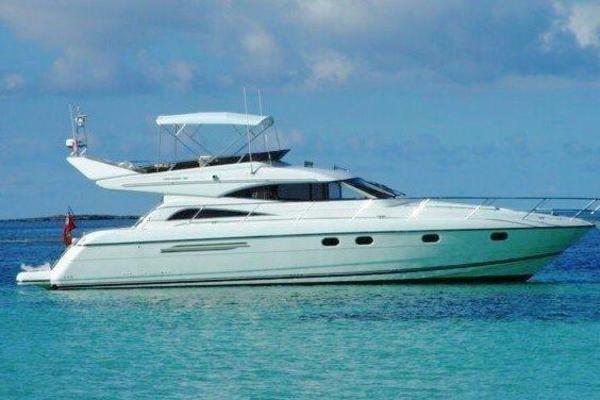 United Yacht Sales New Jersey would love to guide you through a personal showing of this 56' Neptunus 56 Express 2003. 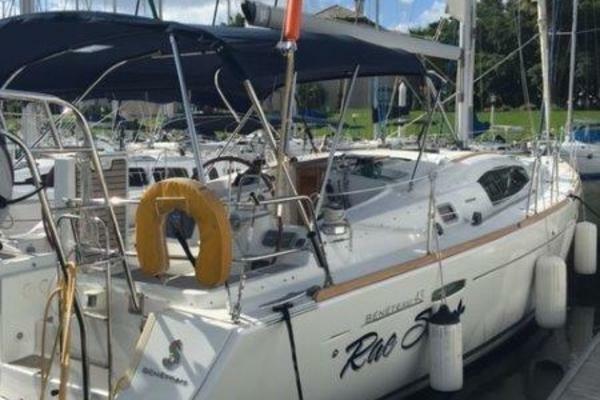 This yacht for sale is located in Stuart, Florida and priced at $339,500. For a showing please contact us by filling out the form on this page and we will get back to you shortly!